This has been a bit of a blue week. It started with the news that David Bowie had died. Still not quite got my head around that one. As so many people have said, he just seemed immortal. 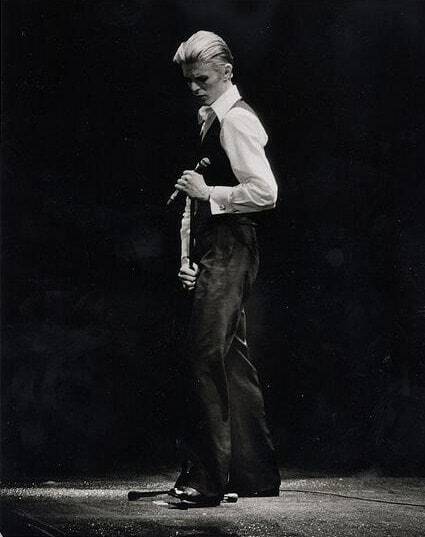 Incredibly sad – the stars do indeed look very different now – but legends never die and we have his groundbreaking music; His legacy for embracing your differences, your oddities. He liberated and influenced so many, in music, in fashion and in life – what an indelible mark to leave. And Alan Rickman too – such masters of their craft. I find myself needing an escape from all the blue and, while it is only a small distraction, I have been drawn down a Ravelry pattern hole. I am finding myself very drawn to the yellows and ochres this week and if ever there was a colour to cure the blues, surely it is yellow, n’est ce pas? 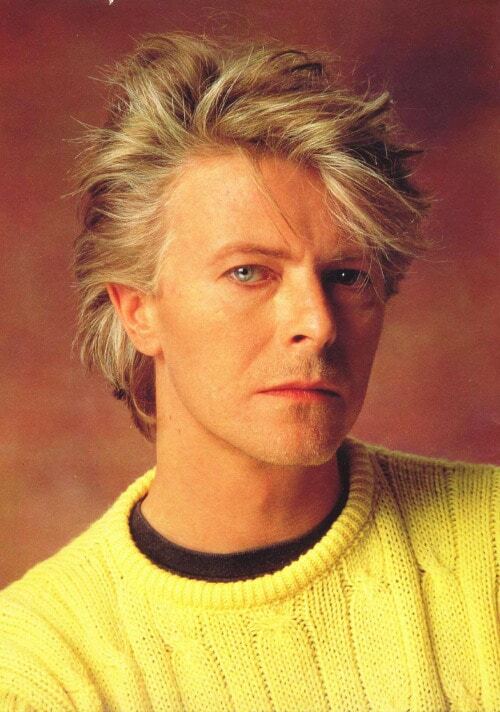 Bowie was also evidently a fan of yellow knitwear (we shall let the acrylic slide in this case). I love not only the honey coloured yarn of Katya Frankel’s Slip Cable hat, but that crown is blooming lovely, like a beautiful flower. It is a worsted weight hat and I think it would be a lovely quick and interesting knit. copyright: Katya Frankel. Click image for Ravelry. Designer Louise Tillbrook kicked off a #KnitYellowSocks KAL last month and following that hashtag on social media is an utter joy! What could be nicer than placing an injection of invigorating yellow in your sock drawer? 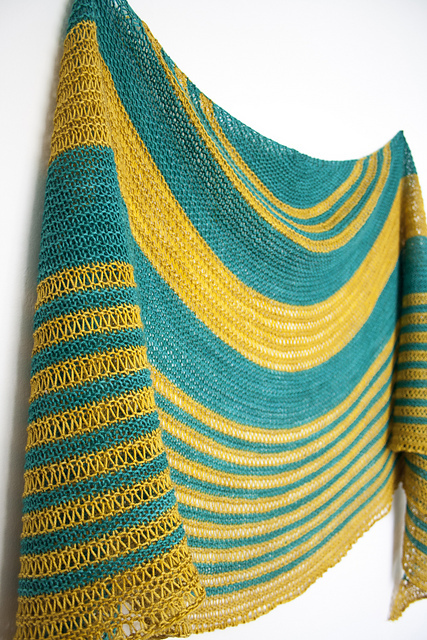 You can read more about this KAL in Louise’s ravelry group or on her brand new website. Even the most vanilla of socks look incredible in yellow. I might be temped to cast on Dave socks by Rachel Coopey, which I see are in the most recent issue of The KnitterI, as well as in Coop Knits Socks Volume 2. .Aureola, by Janina Kallio is a bright golden halo to swathe around your shoulders in this winter crispness. I am a big fan of Janina’s patterns having knit a few myself. I just love that the use simple stitches and construction but in really fresh and stunning ways. Aureola costs around £4.60 on Ravelry. 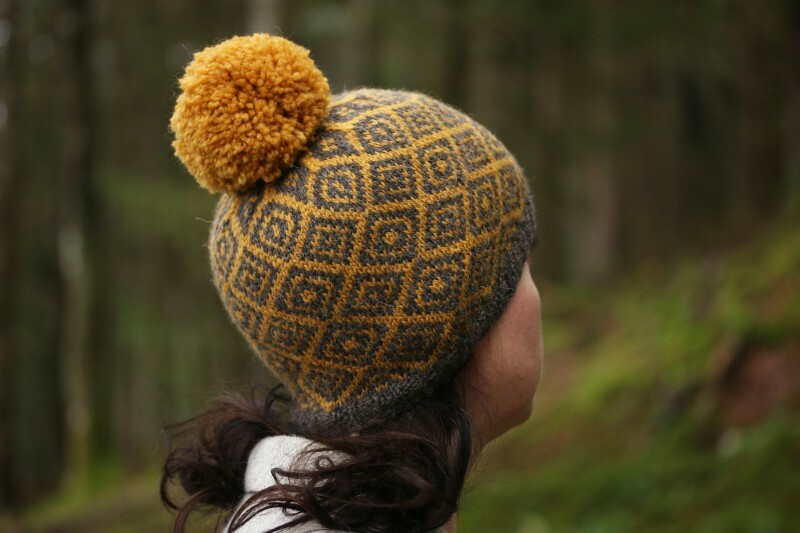 I haven’t even touched on the incredible range of yellow wools there are out there, but I need to shout loudly about one of the new colours of Kate Davies’ Buachaille. Furze just totally sums up my current yellow yearning. 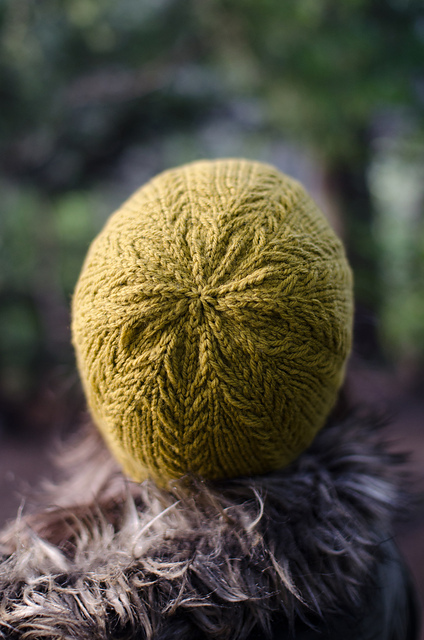 It is such a golden earthy shade and it looks incredible in Kate’s Epistropheid hat, along with the Squall shade. 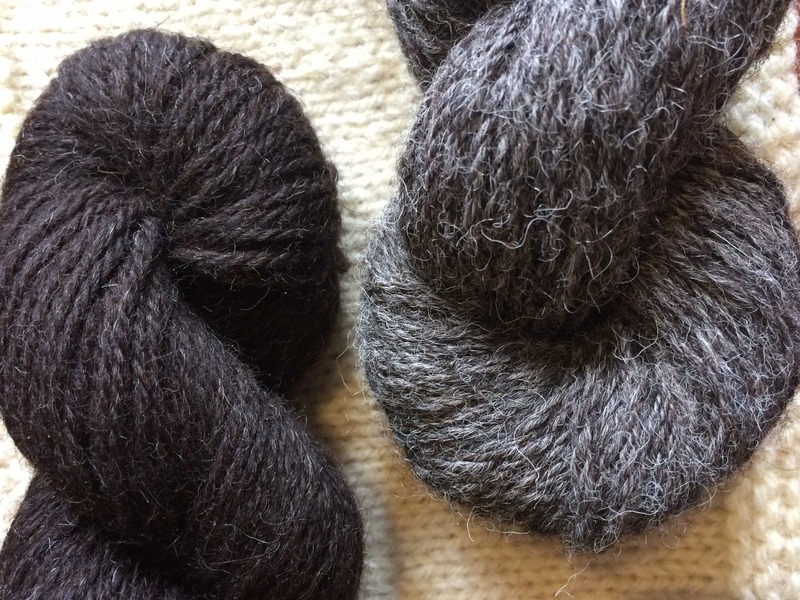 Buachaille is Kate’s range of Scottish wool, worsted-spun in Yorkhire in 10 colours (3 naturals). 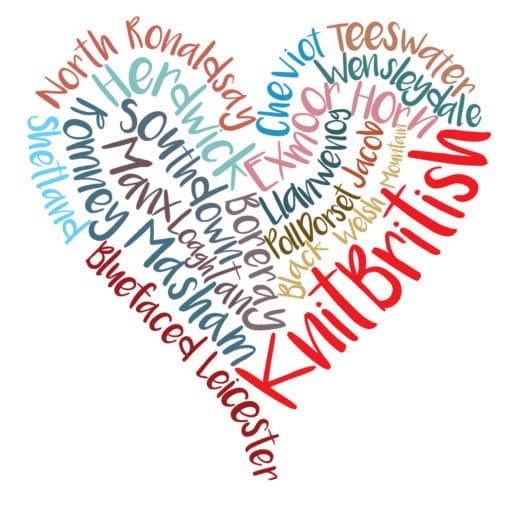 It is really a yarn which celebrates British wool and the skills of the British wool industry in creating a hand-knitting yarn knitters will love! There were three new colours released this month, including Furze and the shop gets updated every Sunday at 5pm. Buachaille costs £7.49 for 50g/110m skein. Ages ago I told podcast listeners that the lovely Knitting Goddess, Joy had given me a skein of British wool to give-away. This is 50/50 Wensleydale and Polwarth and the combo is just divine; soft, squishy with a lovely little spring. I had held it back as we had so many give-aways in the run up to the festive season, but I think this skein will definitely warm up the gloomiest winter and its about time we get it up for grabs! To be in with a chance to win this skein of 100% British wool in Gold please comment below and tell us which – off all the myriad shades, tones and hues, is your favourite yellow….brownie points for the most descriptive names and terms! Comment by 12pm on Sunday 31st January and good luck. Thanks so much to Joy for injecting a little joy into this yarn and giving it so generously. You could repay the kindness by signing up to her newsletter and getting regular yarnie updates from her! UPDATE 3/2/16 Random.org chose Fi Morris’ comment as the winner! Well done, Fi! With my Welsh heritage I feel compelled to say daffodil yellow really. It is so gorgeously vivid and sunshinily bright, and it is so hard not to pass a daffodil without smiling. Thank you for this lovely giveaway Louise. My favourite yellow has to be buttercup – a warm reminder of lazy summer days! My favorite yellow is the rich, warm golden light of a late August day coming to a close. One with clear skies, the sound of lawnmowers droning away lazily in the background somewhere nearby, with a sweating glass of something iced (and hopefully at least a little bit boozy) sitting next to me as I turn my face into the rays as the sun slips towards the horizon. Everything feels ripe, it’s the beginning of the harvest season, and it’s like everything is stretching and having a cigarette after a very satisfying kind of afternoon. Whoops forgot the name. Possibly early harvest gold? My favourite is a bright warm mustard with gold and bronze tones. Like ancient treasure bathed in sunlight! Just as I began reading your post the sun started streaming through the window and made my pastel yellow bedroom just glow. I don’t wear yellow as a rule but three of the rooms in my house are have yellow walls, all different shades. It’s such a warm, welcoming colour. My favourite yellow has got to be a sharp lemon yellow, one that zings and makes my mouth water to just look at it. I love nothing better than the brightest daffodil yellow too. They are one of my favourite flowers and just make a winters morning so bright and smiley. They defy the wintery weather and just love to show them selves and be as bright and cheery as possible, which is something I always strive to do myself. Summer evening yellow has to be my favourite. The shade the sun spreads over the trees as the shadows lengthen after a long, hot day of clear skies. My favourite has to be custard yellow, I’m not talking about the pale insipid yellow of thin custard but the rich yolk yellow of home made custard especially if Burford Brown egg yolks are used. It compliments the rich brown tones of sticky toffee pudding marvellously! I love all shades of yellow, but primrose yellow is my favourite. On a cold damp day, I would say my favourite yellow is Barbados Sand. I’m a Norwich girl, so I should probably say Coleman’s mustard yellow or Canaries yellow, but my daughter and I were talking and decided we love the bright yellow of gorse blooms – we’ve never walked at the heath without finding some blooms and all country girls know that kissing is in season when gorse is blooming. Sunshine Yellow always cheers me up. A really bright, zingy citrus yellow. My old kitchen in Edinburgh was painted this colour, when the sun streamed in through the windows it was like licking a slice of the sourest most refreshing lemon in the world. Uplifting. Many kinds of yellow do indeed uplift the mood, and yellow in nature always makes me smile. It’s hard to pass a yellow flower or bird without a smile. Whilst I love the bright yellows for their cheeriness, it’s the creamy, buttery shades I am most drawn too. I once painted my hallway in some heritage paint in a deep Cornish clotted cream and I loved it, so I’d say that would be my favourite. Oo, lovely earthy ochre. The colour of dull gold. Layers in rock formations. Honeycomb. Syrup on pancakes. Oak leaves in autumn. My favourite yellow would have to be the yellow of the gorse bush when it’s fully in bloom and is letting out that amazing coconutty smell. It was a sight and smell of my childhood and now I associate it with sunny, worry free summer days. My favourite kind of yellow is the shade on the cusp of turning orange, it’s a gorgeous warm colour that reminds me of holiday sunsets, or ‘happy egg’ box cartons. So my yellow name would be Happy Egg! Goldenrod. There’s something unique about the shade. Not quite yellow, but not quite gold yet very rich. I think my favourite yellow is primrose, soft and really barely even there…seeing little scatterings of flowering blossom along the verges near my home after a long damp and dreary Winter never fails to gladden my heart, it always looks like smudges of artists pastel all chalky and powdery amongst the new growth and rotting leaves…..
My favourite kind of yellow is the kind of dark mellow mustardy yellow of antique gold that looks so fabulous with autumnal aubergine, charcoal grey and olive green…. 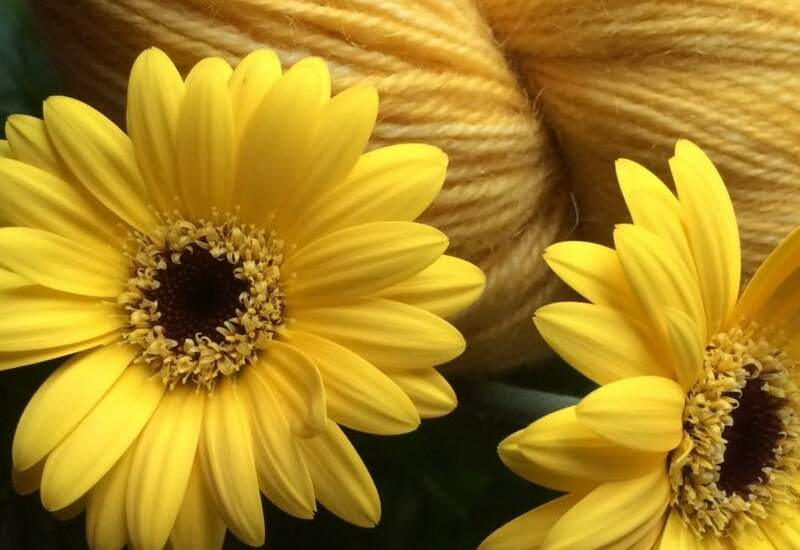 Yellow is my mum’s favourite colour so if I won that gorgeous skein I would definitely be making something for her with it! The yellow of gorse flowers inspires me and can be found somewhere in our village all year round. They also smell so exotic when the sun shines on them. Gorgeous gorse! I’m going to be cheeky here, and claim dyer-privilege: my favourite at the moment is my colourway Goldmine, in both yarn and fibre. I was trying to get the depth and glow of a gold nugget shining in the darkness of a candlelit mine-shaft – charcoal and navy and near-black, with the gold gleaming brightly against it. Jonquil – Spring in a nutshell must be the myriad yellows of narcissus flowers. My favourite yellow is pineapple, because it is bright and remembers of summer but I also like mustard , it is more wearable and can be combined with loads of other colours ???? So lovely! I’d love to hold it, knit it and love it!! Yellow is still quite a new addition to my wardrobe spectrum. I dipped my toe into yellow by knitting a mustard shawl which I knew would work well with my staple colour, navy. Because of this mustard will always be my favourite. More recently I’ve been drawn to the “grellow” trend on Instagram and Pintrest – such a soothing vision of a calm grey and refreshing lemon. I think that’s why knitting is so good… you can easily try new colours as accessories without investing too much time or money. p.s. Thanks for the ‘new kid’ mention on the latest podcast. Coincidentally that episode was the one that I listened to as soon as it was available having been strict with myself and listened, in order, to all the previous episodes right from the beginning. I wouldn’t have classed myself as a lover of yellow until I read this post. As soon as I started thinking about all the different hues I realised that, in fact, I’m quite a fan! To pick just one though is no trouble – Sunflower yellow. They are my husband’s favourite flower & he grows them every year. All through the summer we will have a vase with some in somewhere in the house. They are so bright & exurberent I can’t help but feel engerised when I see one. I’ve been experimenting with natural dyeing & Its possible to produce some lovely yellows – including the great colour produced by dyeing with Chamomile. Colorwork is helping me beat th gloom of winter rains. And the feel of wool is warming my hands while listening to books and podcasts. I was a relative latecomer to yellows – I was persuaded by a completely indulgent pair of 30s style heels in turmeric-coloured suede – and love nod towards browns and greens, like old gold or burnt umber. My favourite yellow is the yolk of an egg. Not only is it colourful and bright, it also promises great breakfasts (or any meals, who am I kidding) and a mess in my beard afterwards. I love a warm, sunny yellow with just a hint of gold. David Bowie’s sweater above is very close to my perfect shade. I am all for strong and bold colours – so my favourite yellow is very close to the primary yellow on the colour wheel – a mix between daffodil and lemon, bright, rich and clear. Found the name – Cadmium Yellow! The liquid amber of the golden yellow eyes of a black cat, intensely piercing, cunningly alert and ever hopeful for a bite of your chicken sandwich! King Tut deep warm yellow gold reflecting sun rays on any dark winter days, bringing joy and warmth to the all souls it encounter. I adore everything about sunflowers, their size, the golden almost orangey colour, the way they turn in the sun, the fact that they make useful and yummy seeds. I miss the fields of them that I used to see all the time when I lived in southern France. I carried a bunch of them when I got married and I used that yellow in my first hap. I love sunflower yellow. Furze is just gorgeous!!!! I must have it to make that hat! I got in on The Seven Skeins Club but Furze wasn’t part of the original colors. As you said, it’s a brilliant yellow, warm and deep. So yummy. My favorite yellow has to be Daisy Yellow, because daisies are the friendliest flower. Spicy ginger! 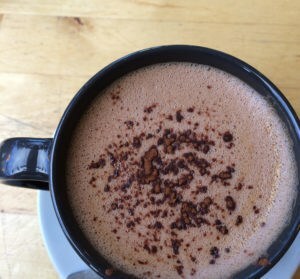 Yum and good for you too. I’m a new podcast listener, and wish I lived closer so I could attend the festival! (I’m down in London). I love mustard yellow so much, I painted my bedroom that color. In a yarn, a hand-painted mustard yellow with lighter shades added in as highlights is my very favorite color. I ordered Kate Davies Furze and Squall to make her Epistropheid hat. Thanks for offering that gorgeous skein of yarn as a give-away. I would call this Yummy Mustard Delight! I used to think yellow wasn’t a colour I could wear, but I find myself being drawn toward sunny yellows with bits of orange in them (like the socks up there!) or even mustardy yellows… I might need to get more yellow and make some yellow socks, I don’t think I have *any* yellow in the stash! I love yellow with purple. Warm bright gold with regal purple. And soft matte mimosa in a vase with freesia. Or all together in a perfect pansy. That’s my colour – golden pansy. Growing up in the welsh mountains I love Gorse. So I think Furze or gorse yellows under a bright sunny sky are my favourite yellows. I can hear the bees in my imagination and know there will be sweet bilberries to go hunting for soon. California Sunshine is what I’m wishing for as we experience mist, sleet, rain and short overcast days in my Pacific Northwest home. The sort of bright yellow that goes so well with a clear blue sky. Sigh. Sunshine from anywhere lifts our spirits. Especially when we have sad news like deaths of admired and inspiring public people. Think of how little kids draw Mr. Sunshine. That’s the sort of yellow I love. Today i was looking at a bowl by my favorite potter, Clarise Cliff. It was, on the outside, crowded with the most vivid orangey yellow flowers while the inside was pure jonquil’s-trumpet. That’s the best thing about yellow: it blends with so many colours, especially hues of itself! I love what I call Marmite yellow – the cheery border on the jar! 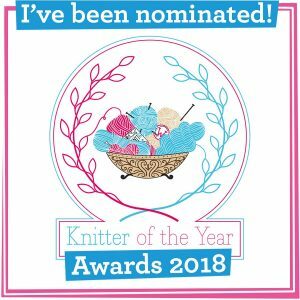 Hello Louise, Thank you for the opportunity to win some yarn. While I never list yellow as one of my favorite colours because of my skin tones, it is often the colour that I pick up the most often when I am colouring. I love it next to blue and purple and the shade I grab the most is a hot yellow. The kind of yellow that would depict a sun at the hottest time of the day, high in the sky and unrelenting in its heat. That is my favorite shade of yellow. My name on ravelry is shelshan. I love dark mustard yellow, there’s just something about it that I love. That’s so tricky – yellow is pretty much my favourite colour, as long as it isn’t neon or acid toned. Deep mustards, warm golden, happy gorse/whin…..it is a big list! I love a rich, orangey egg-yolk yellow. Maybe ‘double-yolker yellow’! Something I’ve had a lot of this year is a lovely pale yellow – freshly made honey and lemon drinks that you know are going to warm you and make you feel better from the inside out! It has to be a rich mustard yellow – the earthy shade before it moves to greener hues. It goes with almost every other colour (especially a petrol teal) and brings a little beam of liquid light into any project. It is the most versatile of all the yellows (IMHO)! I love that greeny chartreuse yellow that goes so well with purples. Such lovely comments, a garden full of flowers and fresh air. I’ve been obsessed with yellow for years, painting it on kitchen cupboards and walls, then endlessly dyeing yarn to come up with my favourite shades, which range from delicate daffodil to a gritty ochre. My sure-fire best colours are usually achieved with turmeric of all things- so my colour name might be Winter Spice! Mustard. That perfect mustard that isn’t too brown and doesn’t lean into green. I just love a sunshine yellow. Rich and generous. Semisolid. maybe with white speckles. My favorite hue is Golden Yellow. Must be loaded with energy and powerful! I have strong ties with the Isles of Scilly, the last stronghold of narcissi growing in the UK. We tend to visit in February, when they are in dazzling bloom everywhere. It is like paying a visit to spring, from winter. There are many different varieties, all are bright and sunny shades of yellow, but my favourite is ‘Soleil d’or’ (golden sun) so that’s my choice. As an added bonus they have a fantastic scent. When I am at home, I buy them every week from October to March; they bring welcome cheer to the gloomy days of winter and I would be lost without them. So I say warm yellow. As the sunshine. I long for summer, sun and warm weather. My favourite is a real deep dark yellow – saffron yellow! Butter yellow is my favorite. I find it both soothing and inspiring. I love to see laburnum flowering and forsythia. My favourite yellow would have to be that of the broom plant, it’s so cheerful and contrasts so well with it’s beautiful green foliage. It is often considered a pest, but I think that is unfair, I think it can be quite an uplifting site to see the plant in full bloom. It can be pale yellow or a very citric/acidic yellow. The little flowers are so delicate and when you get up close you can really appreciate how pretty they are, not at all what you might expect when you first set eyes on the plant. I think it should be called “the-bees-knees” that fresh spring pollen dust! I’m currently knitting socks for the #knityellowsocks KAL in a really bright neon yellow – it’s enough to brighten any day, so that’s my current favourite. I was thinking of a suitable name, but I came round to “high-vis” but I have a suspicion that might have been its original name anyway. I love bright daffodil yellow. Yellow has become a colour close to my heart as its the favourite colour of my nephew Innes. Now 5, he has loved it since the beginning and yellow was one of his first words. He always likes to wear yellow and his little brother used think yellow was called ‘Innes’ so associated with yellow is that wee boy. Primrose yellow – I love burying my nose in their velvety petals to catch their delicate scent! And any yarn that’s as soft to knit with as a petal would be just gorgeous. Mmmh, I was listening to your podcast, and I enjoyed listening to some local accent now and then. It’s a compliment, mind you, I’m the one who listens to Ann Cleeves Shetland noirs on audible just for the love of the sound “L’rik”! As for for the yellow, I love the jellow-greenish shade of this amazing citrus fruit “cedro”. Cedar, I think, in english. I like a deep golden yellow. Like thick, slow honey. Such a difficult decision! I keep saying that I can’t wear yellow near my face, but I am so tempted by yellow socks! Last spring a colleague came back from holiday in Cyprus, and I walked into my office to find a lemon on my desk, from the garden where they stayed. It felt like no ordinary lemon, but more like condensed sunshine and really lit up the room. I wouldn’t even describe the colour as ‘lemon yellow’ as it was warmer than that. Spring is so lovely with daffodils, primroses and crocuses (croci?). All different but still lovely shades. So my shade, to encompass all of these is ‘condensed sunshine’. I’m longing for the yellow of the first spring flowers. I have some daffodils in my yard that are such a hopeful sign of spring coming. Yellow is such a cheerful, warm color. Buttercup yellow is my favourite, it reminds me of the game I would play with my friends of holding a buttercup under our chins to see who liked butter. A silly childhood game! For me my favourite yellow is Sunflower. The large head filled with seeds turning towards the sun with a wonderful main of yellow petals punching the air is wonderful. The make smile, as they stand confident and proud and that’s a yellow that makes no excuses for its place in the world. My favorite yellow is VERY specifically #F2CF5 🙂 I think it’s the perfect mix of regal gold but still a very cheery yellow! I like a warm yellow with a hint of orange in it. Like dandelion or sunflower petals. Is that a shade? Dandelion yellow? I love a crisp bright pineapple yellow, not least because of the memories of Summer it brings to mind! Although in cooler months, perhaps a sea buckthorn yellow, with hints of orange brings a touch more warmth! Just realised I picked two food colours..
For people who didn’t know her it’s hard to describe. Not to bright but still a warm rather light yellow, like some of the lighter hues in this yarn. I love the deep buttery yellow of jersey butter. Yellow, in all its variations, has always been my favorite color. Currently I am in love with soft buttery yellow. It is warm. It is comforting. It is lovely. Eggs in all forms and variety are my favourite, so Egg Yellow it has to be for me. I have just remembered that my old horse used to love eating gorse flowers, and I loved the colour of the greeny yellow mush that surrounded his mouth afterwards. Many happy memories of the old boy. The yellow of bright sunlight, streaming through my kitchen window onto a bowl of Tesco Low Fat Custard. I also have a yellow handled spoon, but I don’t think I’m creative enough to word that. The yellow of proper salted butter: 1980s Anchor Butter. Sweet, juicy sweetcorn smothered in melting butter – delicious throughout the year! I like lichen. Zesty yellow against grey rocks and often the only colour to brighten cloudy winter walks. The best yellow ever is that of an endless field of sunflowers stretching out to the horizon on a summers day. I love the combination of a golden sandy beach, blending into a turquoise sea and a beautiful blue sky. Like the beaches in my favourite place Cornwall. Though it is nice to see all the early daffodils this year.